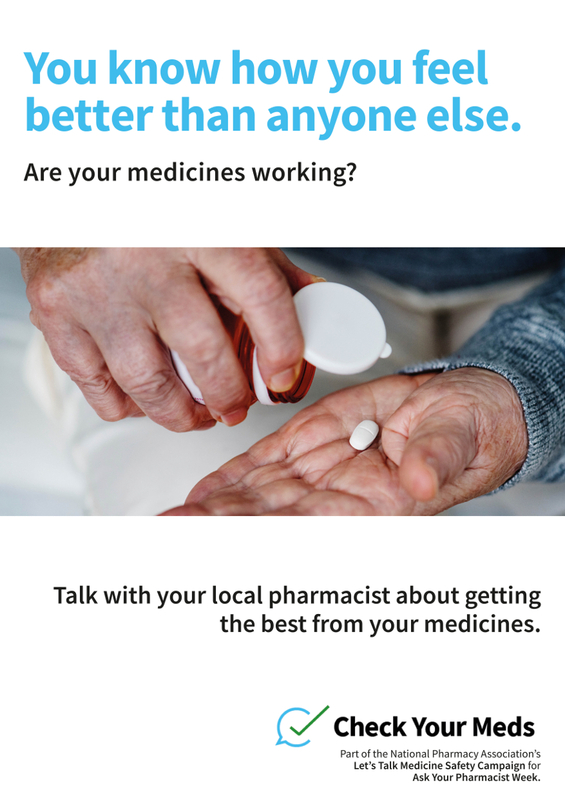 Ask Your Pharmacist Week is underway during 5-12 November. 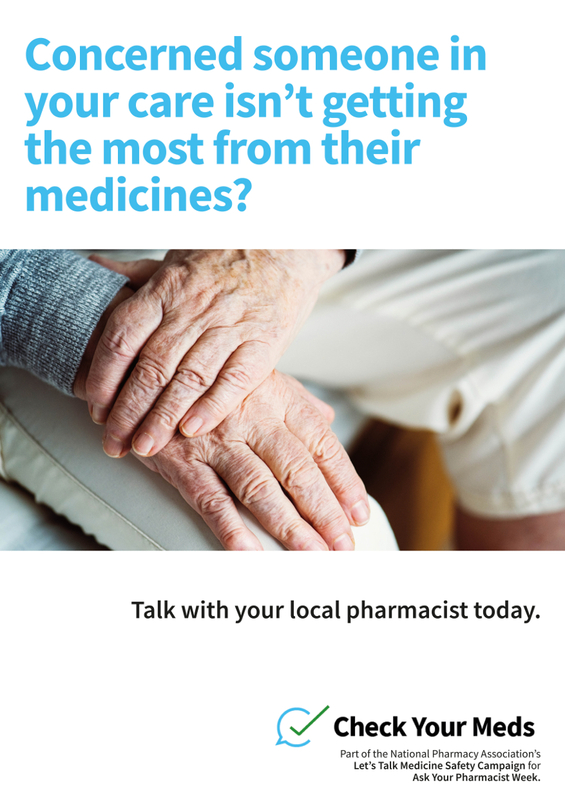 This annual initiative, which is organised by the National Pharmacy Association, helps raise awareness of the services you offer. 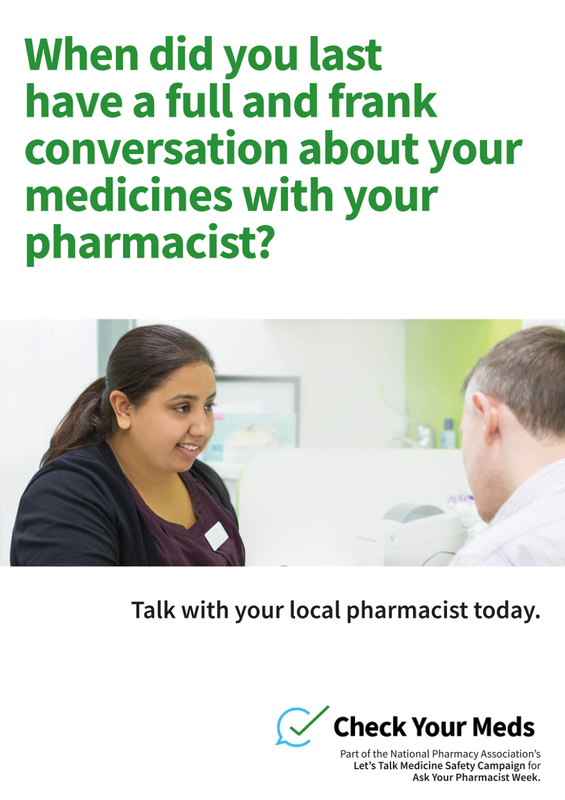 Ask Your Pharmacist (AYP) Week provides a platform for pharmacy public awareness activities across the UK. 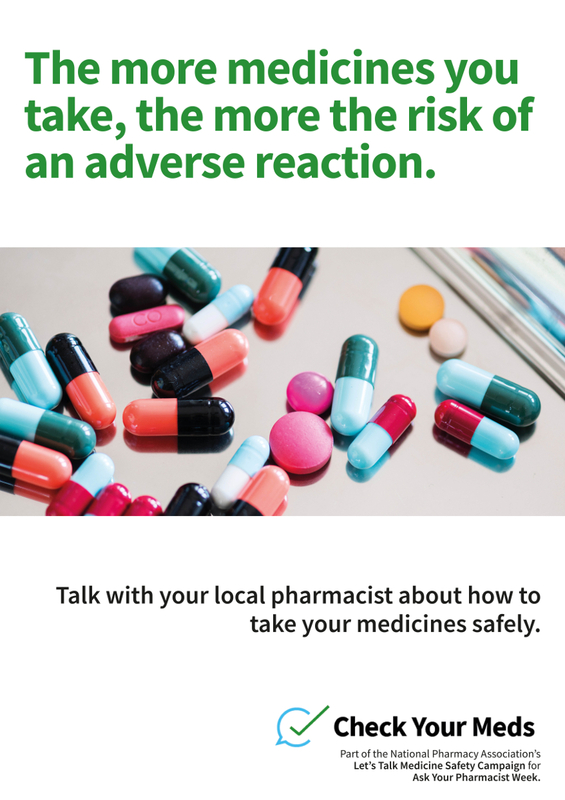 The theme for this year’s campaign is “Let’s Talk About Medicines Safety”. 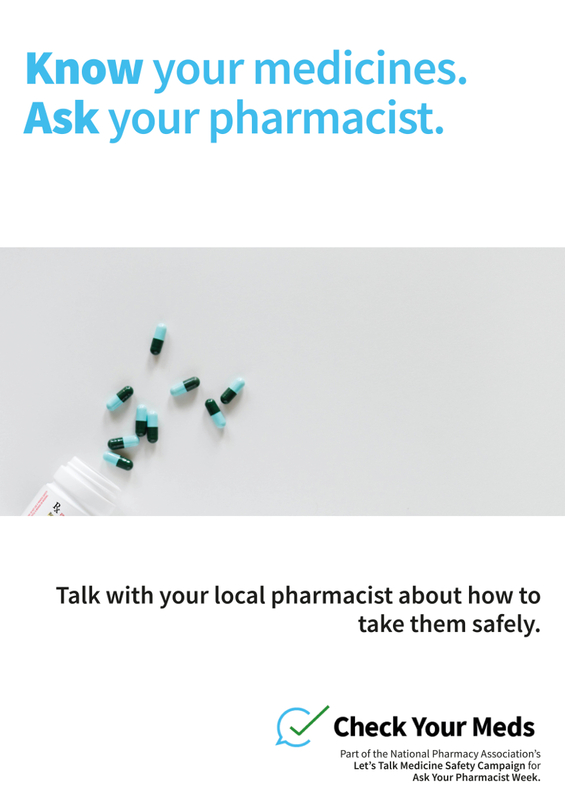 It is about explaining to patients the risks associated with using medicines inappropriately; and encouraging them to talk with the pharmacy team about safe use. 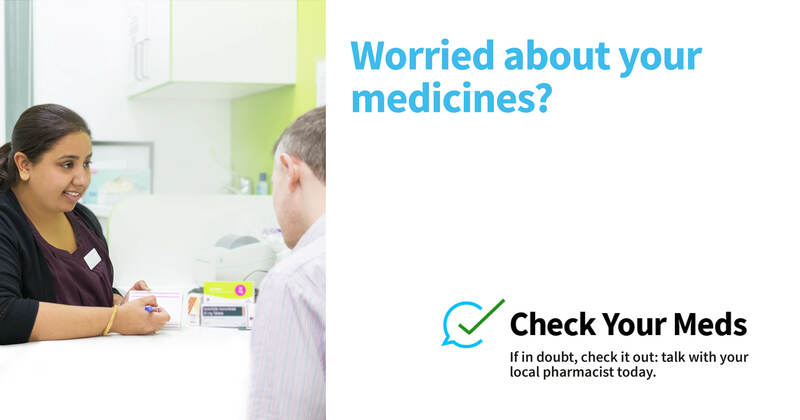 Materials to help you conduct an audit of how often, and in what form, you discuss medicines safety with patients. 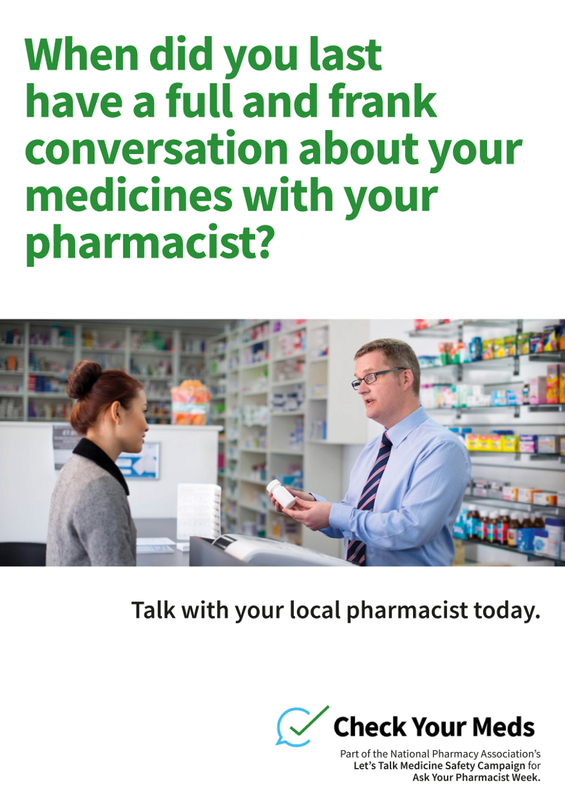 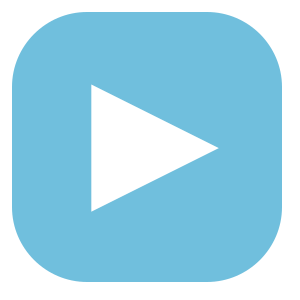 You can use the materials at any time but it will have a bigger impact if you do it during Ask Your Pharmacist week (5-12 November) because it will coincide at that time with media activity organised centrally by the NPA. 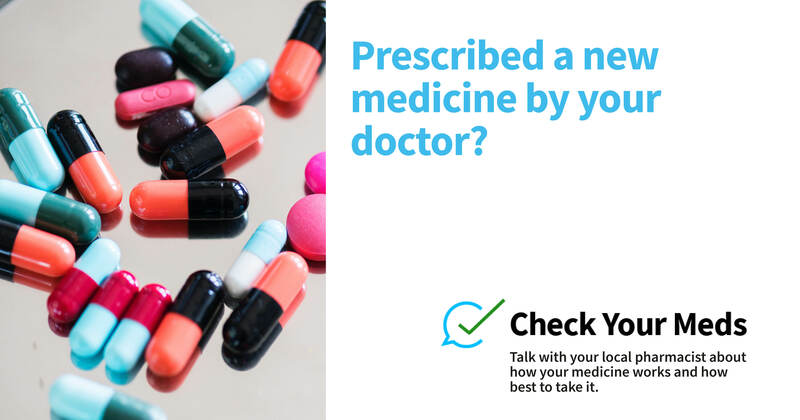 Check Your Meds incentive - prescribed a new medicine? 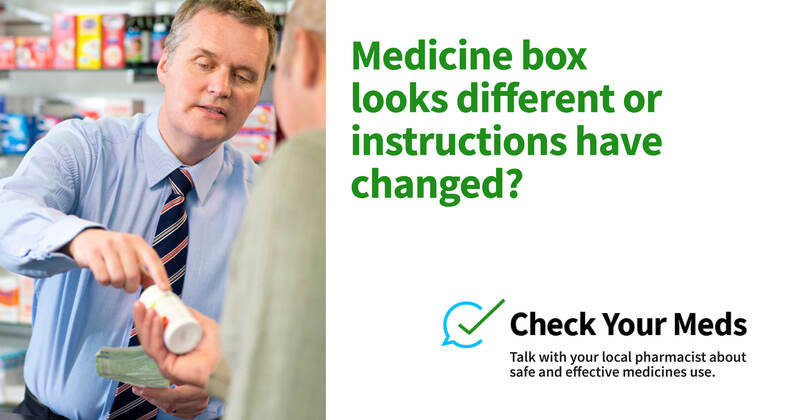 Check Your Meds incentive - medicines box looks different? 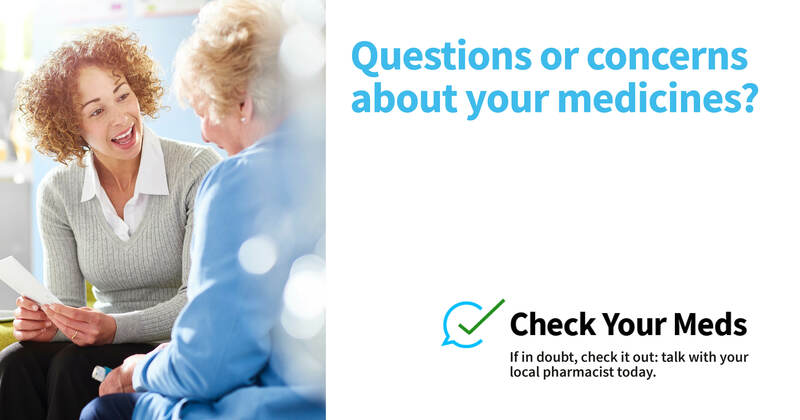 Check Your Meds incentive - got questions about your medicines? 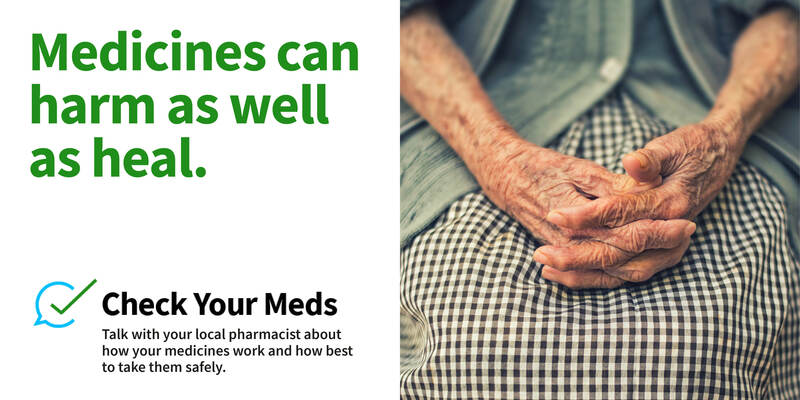 Check Your Meds incentive - worried about your medicines? 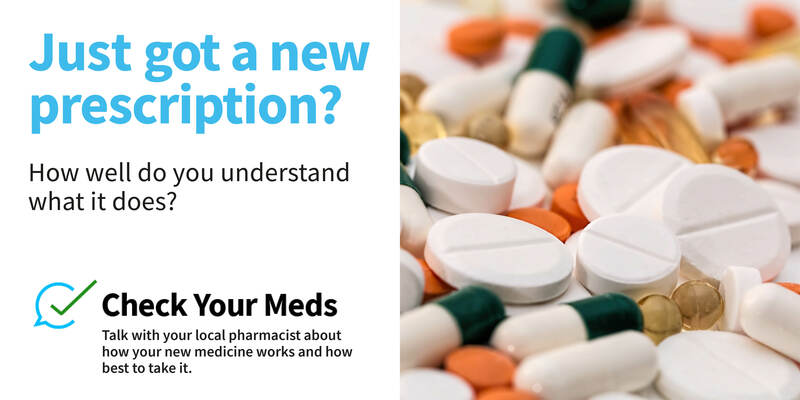 Check Your Meds incentive - got a new prescription? 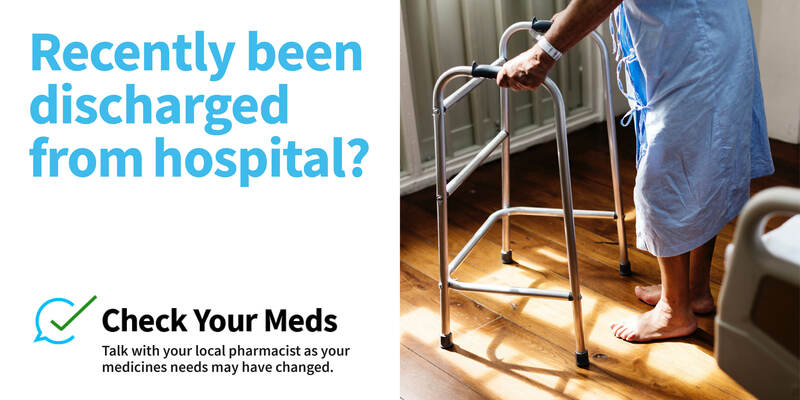 Check Your Meds incentive - Recently been discharged from hospital?